← Is it Halloween, or just Election Season? A man in love with the world. 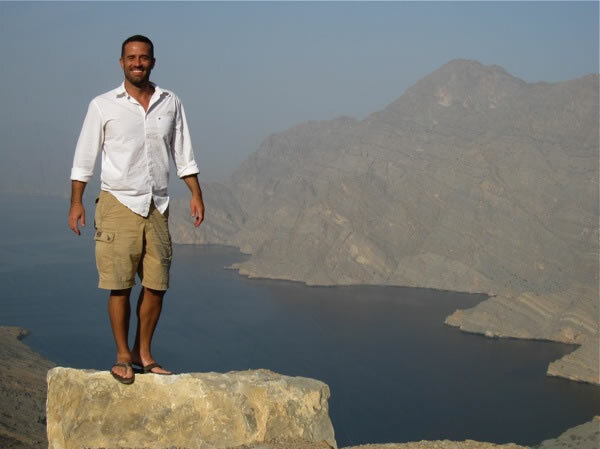 Barton Brooks, uncharacteristically well scrubbed & well fed, in Oman. Barton Brooks falls in love a lot. Seriously, just about everywhere he goes, he loses his heart – and he travels all over the world, losing his heart to the poorest, most needy people on the planet. If you spend five minutes talking to him, you’ll be easily convinced that there is no more exciting thing to do than practice your own form of Brooks’ Guerilla Aid – which of course is exactly his exhilarating, empowering point. On 9/11, the Maasai gave cows to the U.S. In 2009, Barton returns the favor. 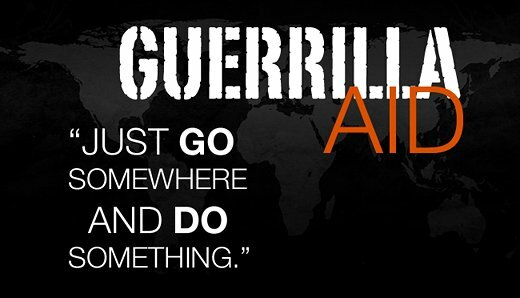 Five years ago, Brooks founded a tiny, grassroots organization called Global Colors to promote Guerrilla Aid – an intentionally small form of international volunteerism that consists of finding an immediate need and helping local people fill it. In stark contrast to the huge aid organizations and the pricey travel tours that offer rich kids the illusion of service, Barton Brooks is all about getting in there, getting your hands dirty, and making something good happen. He found his mission when some adorable orphan kids in Cambodia near Angkor Wat completely stole his heart. He went home, raised a bit of money from friends and folks at UCLA, and returned to Cambodia a few months later, laden with soccer balls, clothes, books and school supplies – and he was hooked. 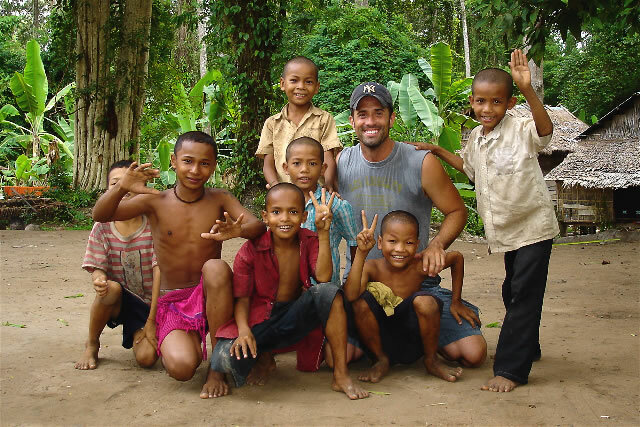 Where it began: Brooks in Cambodia with his kids. Using the internet to share his riveting stories and captivating photos with a growing audience of young people, Brooks’ message is clear and simple: “Go someplace you want to be, ask the local people what you can do to help, and start pitching in.” Guerilla Aid is not rocket science and anybody can do it. For example, Brooks has hauled dirt to rebuild a temple in Kathmandu, done yard work with monks in Laos, helped a rickshaw driver burn bodies of the homeless (to ensure their reincarnation) in India, planted hospital gardens for AIDS patients in Senegal, and built chicken coops for the Batwa pygmies in Uganda. 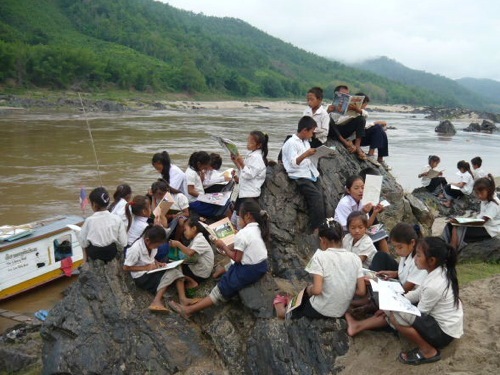 Laotian kids reading books from GC in Luang Prabang. 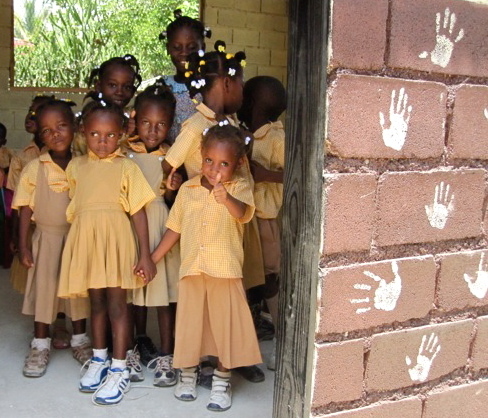 The opening of the first rebuilt school in Haiti! In fact, one of Brooks’ biggest challenges for Global Colors may be staying small. The White House has called him in for advice on international aid, he’s been featured in Oprah magazine, and he’s just now having to hire his first full-time employee to handle donations and operations. Plus, Brooks is just getting back on his feet after a horrendous motorcycle accident in Uganda in March 2009 that shattered his left arm and multiple bones in his left leg, his right shoulder, crushed his left shoulder and lacerated his face – requiring multiple surgeries and months of painful rehab. 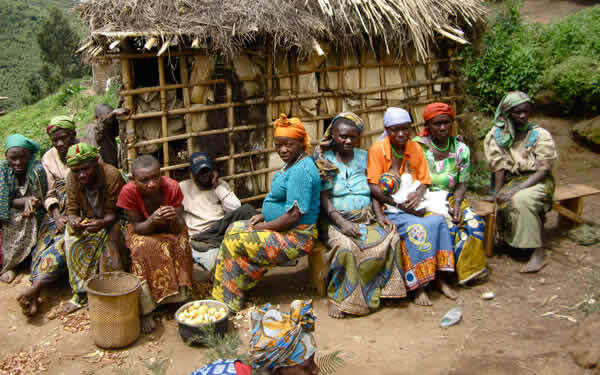 Brooks' Batwa mothers in Uganda. Early this year, when he returned to Uganda and his beloved Batwa – some of the poorest, most marginalized people in Africa with a 97% unemployment rate in the country that shuns them – he was “insanely humbled by the fact that all the women told me they had been praying for me. They were praying for me!” he says wonderingly. The wonderful women of St. Martin’s Episcopal School in Atlanta invited me to speak to them last week, and donated $100 to the Panzi Hospital (see post on 10/20) for women suffering fistula injuries. Way to go, Moms!! !